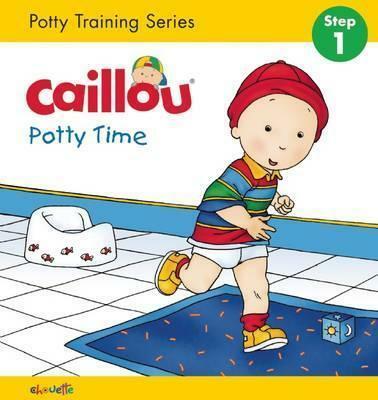 In this delightful story Mommy has a surprise for Caillou: his very own potty! Though initially uninterested, Caillou eventually decides that he wants to be a "big boy" and leave his diapers behind. After several attempts, a few failures, and near misses, Caillou learns to ask for the potty when he needs it and is rewarded with a sense of accomplishment and independence. Written with input from child psychologists, the Hand-in-Hand series of books helps children navigate their way successfully through various key developmental experiences of childhood. Joceline Sanschagrin is the best-selling author of Caillou: Potty Time, Caillou Helps Mommy, Caillou Puts Away His Toys, and many more. Pierre Brignaud is the illustrator of all the Caillou titles in the Hand in Hand series, Step by Step series and Baby Caillou. They both live in Montreal, Quebec.